Technology and globalization are the driving forces shaping many companies, and diversity and inclusion are next in line as today’s workforce demands more social enterprises. At Speexx, we value our diverse richness, so twice a year our team comes together for Diversity Day to celebrate what makes each of us unique. 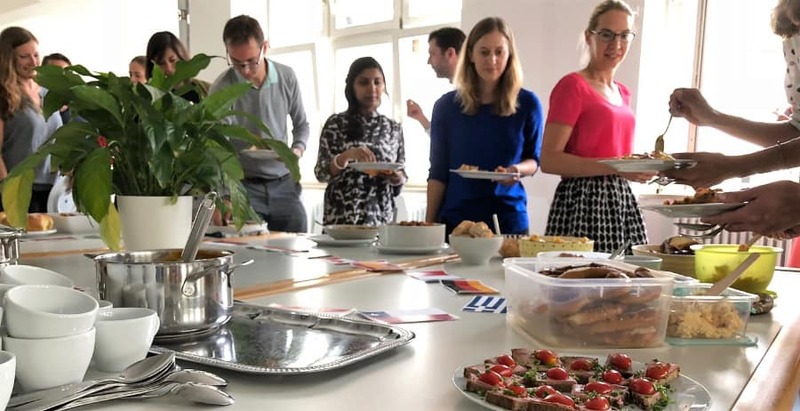 Thirty team members came together in our Munich headquarters where we enjoyed a delicious variety of foods from around the world along with some interesting conversations surrounding the topic of inclusion and diversity in the workplace. ‘’The strongest teams are those that are diverse even beyond race, religion and gender — teams whose individual members bring changing perspectives that build on both professional and life experiences’’ says Armin Hopp, President of Speexx. As a global and diverse team, we understand the need to communicate effectively across many cultural backgrounds, as well as languages, yet sometimes it can be difficult. 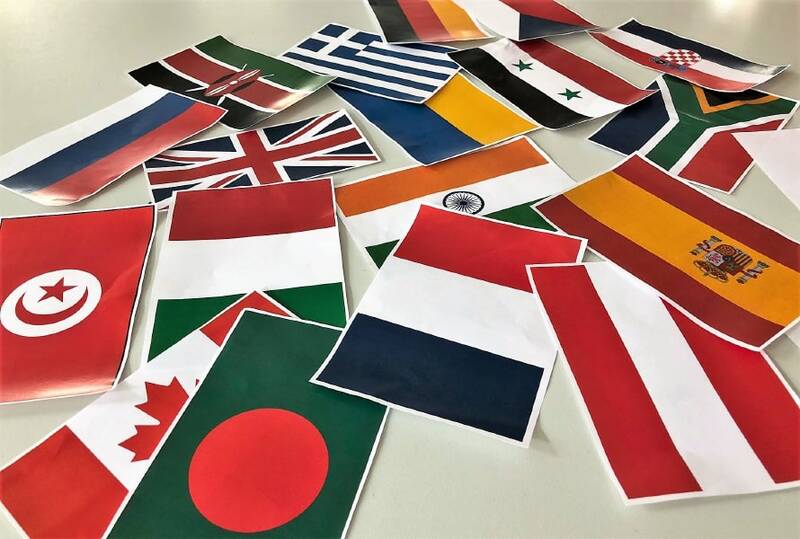 Our team is comprised of 40 nations, spread across 8 offices worldwide, our company language is English, and collectively we speak 24 languages- this all leads way for more opportunities to misinterpret one another if we are not culturally aware of our differences. ”We all come from different walks of life, speaking different languages, but we all have one common goal- we work to empower language communications and we practice daily what we preach, by breaking down our own communications silos first,’’ says Diversity Team Manager, Ali Rahim. Our local offices in France, Italy, Spain, China, and Brazil are speaking their respective languages with one another in their daily routines, but there’s also the need to communicate with the entire team on a global scale in English. Every company has different business needs and should determine which languages are most beneficial accordingly. Regardless of what the company language may be, it’s important to keep common goals at the forefront of our conversations while also realizing our differences and learning from one another. We understand the challenges diversity may bring into the workplace, but we also know its advantages and that in the end, the reward is greater than the struggle. Diversity in the workplace gives a company many competitive advantages. They are first in line to attract top talent; the best of the best worldwide versus a pool of talent on a national scale alone. It also leads to increased productivity and profits. A team with a variety of perspectives and language speaking skills can connect with a larger client base and offer them more solutions. Companies with diversity and inclusion worked into their culture also reap the benefits of an improved employer reputation. As human beings, we naturally enjoy learning and moving forward in our lives through new experiences. When your team includes a variety of talented members, it also keeps work more interesting for everyone involved. A diverse team is a happy team which can continuously learn new skills from their peers and experience new global outlooks to satisfy their hunger for learning. We also go beyond Speexx Diversity Day, with a weekly cooking club where team members volunteer to cook a special dish native to their homeland every Friday. It gives us the chance to learn new things about one another, try new recipes and have fun in the kitchen while we’re at it. Is your team doing everything they can to keep diversity and inclusion in mind, or could they do better? What are some of the ways your team celebrates diversity in the workplace? Let us know, we’d love to hear from you.